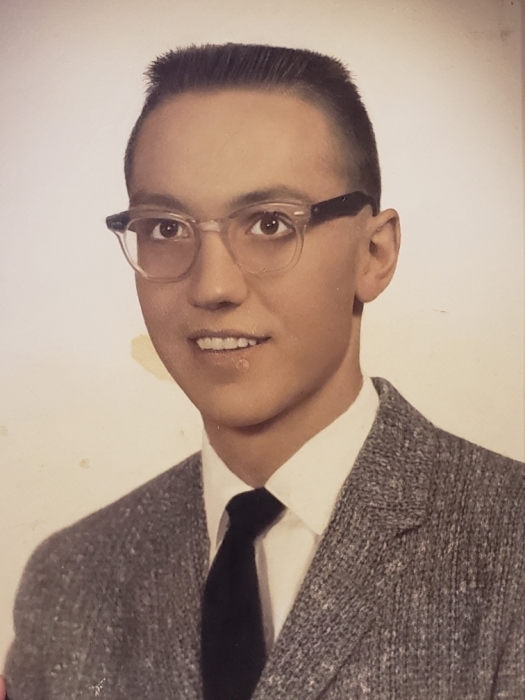 Robert E. Peters, age 76, of Hays, Kansas passed away Thursday, November 29, 2018 at Hays Medical Center. He was born July 29, 1942 in Pratt, Kansas to Robert J. and Munica Belle (Reynolds) Peters. He graduated from McCracken High School. Robert managed Heims Appliance in Hays and Humburg Lumber in Lacrosse. He was a US Army veteran serving in Korea. He enjoyed reading, playing golf and KU Basketball. He is survived by two daughters, Sandy and Darbey Frydendall of Meade, Kansas and Kerri and James Elsen of Ellinwood, Kansas; two brothers, Dennis Peters of Plano, Texas and Mike and Diane Peters of Olathe, Kansas; 8 grandchildren and 10 great grandchildren. He was preceded in death by his parents; a daughter, Brenda Peters and a brother, Russell Peters. Memorial services will be 2 PM on Saturday, December 1, 2018 at Brock's-Keithley Funeral Chapel and Crematory 2509 Vine Hays, KS 67601.